clear message and address it to their target audience. 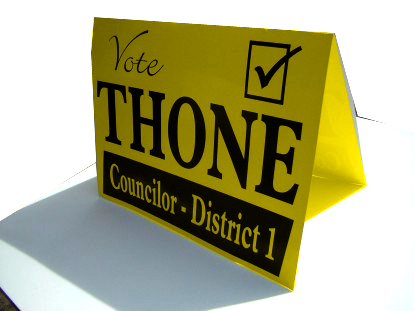 We offer high quality custom designed election campaign signs and election yard signs. sturdy steel frame or wooden stake. They are available in a variety of sizes and can withstand the temporary effects of rain and snow. with your own personal message. When designed correctly, a political campaign banner or campaign yard sign can be an incredibly effective tool. The placement of your political campaign yard sign plus the reiteration of seeing it again and again can really raise knowledge of your campaign in the voting community. Also, adding political yard signs to an area in which the candidate is already well-received can boost your campaign’s ability to get out the vote. It's hard to increase name identification, so, unless there is a strategic or financial reason for postponing the placement of election signs, they should go up as soon as legally possible. Different cities, towns, and districts have different regulations, so do some research to find out the earliest possible date to start putting out your political campaign signs. It's hard to increase name identification, so, unless there is a strategic or financial reason for postponing the placement of election signs, they should go up as soon as legally possible. Aim well with your campaign. Know the outline of your district and stick to it unless you have a specific reason not to. Look for high traffic areas and storefronts where you could possibly display your election signs and banners. Be prepared for your political election yard signs to go missing. 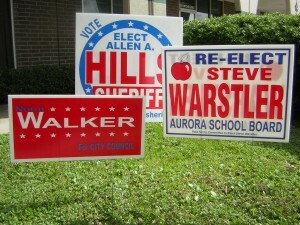 Have the proper people in place to restore your large quantity of election yard signs when they disappear. 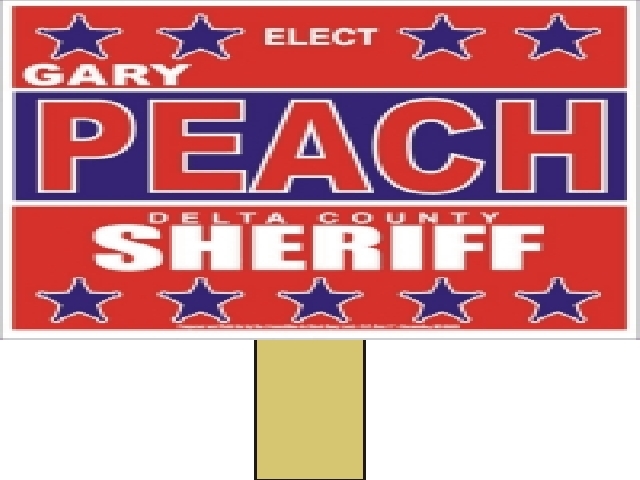 When designed correctly, a political campaign banner or campaign yard sign can be an incredibly effective tool. The placement of your political campaign yard sign plus the reiteration of seeing it again and again can really raise knowledge of your campaign in the voting community. Also, adding political yard signs to an area in which the candidate is already well-received can boost your campaign-s ability to get out the vote. Get ready for the election with election signs! Election Yard signs come in many different forms, including cardboard, tri folds and paddles.